Operation Marne Torch, one of the two ongoing operations south of Baghdad that are part of Operation Phantom Thunder, is currently underway in the Arab Jabour region southeast of the capital. Major General Rick Lynch, the commander of Multinational Division Center and the 3rd Infantry Division, briefed on Operation Marne Torch today. The current focus of Marne Torch is to reduce "the flow of accelerants of violence into Baghdad." Maj Gen Lynch defined the accelerants "as anything -- insurgents, weapons, material, IEDs, VBIEDs, ideology, anything -- that, left uncontrolled, would affect the security in Baghdad." Maj Gen Lynch noted the enemy in the region consists of "Sunni extremists ... Shia extremists ... and then it's those supported by Iranian influence." Marne Torch is essentially the shaping operation for the Arab Jabour region, as Maj Gen Lynch indicated future operations will heavily target Sunni and Shia extremists later in the summer. The current operation in the Arab Jabour region consists of both kinetic and non-kinetic operations, or combat and civil affairs operations. So far the combat operations have resulted in the capture of over 230 insurgents, "including 28 that we classify as high-value individuals, among them three of our Division 15 high-value targets," Maj Gen Lynch noted. Twenty-nine patrol bases have been established in the largely rural farmlands southeast of Baghdad, and several have been turned over to the Iraqi security forces. Coalition and Iraqi forces have uncovered 41 weapons caches and 54 IEDs, and destroyed 45 boats used by insurgents to smuggle the "accelerants" into Baghdad. "During the operation, we've run nearly 500 patrols, many of them jointly with Iraqi security forces," Maj Gen Lynch said. "We've conducted at least 22 raids, 32 cordon and search operations and 70 airstrikes. We've made extensive use of airpower -- B-1 bombers, F-16s and F-18s. We've cleared more than a thousand buildings." Maj Gen Lynch estimated about 70 percent of the battlespace "transitioned from clear to hold to retain" while about 30 percent is still considered "enemy territory." The areas that are retained are now transitioning to a reconstruction phase, and Maj Gen Lynch highlighted projects such as a water treatment plant and the reopening of factories. The lack of Iraqi security forces remains a pressing issue for Maj Gen Lynch. There is "a significant shortage of Iraqi security forces," particularly police, he said. The Arab Jabour region has essentially been ignored by the Iraqi government and Coalition forces for the past three years, and the local police collapsed. The rebuilding of the local security forces and the movement of federal security forces into the region will take time. The southern region remains active. Coalition forces captured an insurgent on the most wanted list in Arab Jabour on July 2. Eight soldiers in Hillah were killed in an IED attack today. In Yusifiyah, insurgents successfully bombed a pipeline carrying crude oil to Baghdad's Doura refinery. Elsewhere in Iraq, operations against al Qaeda's network are ongoing. In the north, the Iraqi Army captured seven al Qaeda fighters near the city of Tal Afar. In Diyala, Iraqi security forces killed 14 al Qaeda operatives and captured one. Coalition raids against al Qaeda's command network in Anbar province resulted in three operatives killed and eight captured. One of those captured was "a suspected al-Qaeda in Iraq battalion commander, responsible for logistics and oversight of terrorist attacks by cells within his group. He has also allegedly attempted to forge working relationships with media outlets to broadcast jihadist propaganda, including videos of attacks on Coalition Forces." A breakdown of the structure and units in the Afghan National Security Forces. 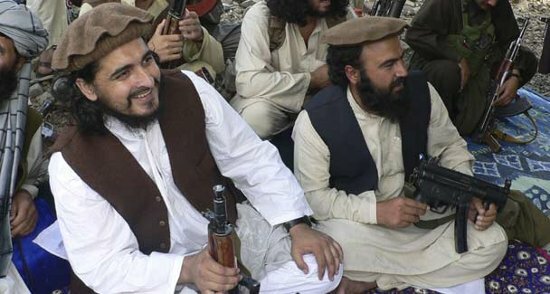 A look at the Movement of the Taliban in Pakistan's top leaders. A look at the Afghan Taliban's top leaders, military councils, and committees. AFP quotes Lashkar-e-Taiba on Swiss minaret ban and "inter-faith harmony"
Copyright ©2007 through 2010, Public Multimedia Inc. All Rights Reserved.